Are you sick and tired of feeling depressed, anxious, angry, or frustrated? Do you find yourself feeling overwhelmed and “stressed-out?” Are relationship difficulties interfering with your overall happiness and contentment? Greetings and welcome to DrEdNottingham.com. We have maintained a strong commitment to helping people not only feel better, but more importantly to get better and stay better. With this in mind, we think of our site as a personal trainer for “emotional muscle” and problem-solving skills. We take an active role in helping people to define goals and desires, and then help them to develop those skills important in achieving desired goals. My coaching style is based on a form of therapy called Rational Emotive Behavior Therapy (REBT) which was developed in 1955 by Albert Ellis, PhD. REBT maintains that our feelings are caused largely by our thinking, attitudes, self-statments, and beliefs. While we are powerless over other people, places, and things, we can learn to be quite powerful when it comes to detecting those attitudes and beliefs that are interfering with our effectiveness and happiness. More importantly, once detected, REBT teaches how to change those self, other, and relationship defeating beliefs into helpful, effective, and rational beliefs. 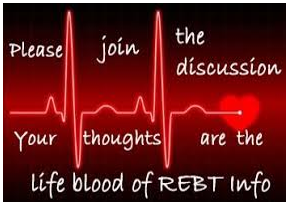 What we like about REBT is that it is straightforward, focuses on the here-and-now, and offers solutions rather than focusing on the “whys” of the problem areas.